The correct term for a dog eating poop is coprophagia. Sounds more scientific, yes, but less disgusting? No! Regardless, this is actually a natural behavior for some animal species. People have a hard time understanding why dogs eat poop, whether it's their own, or poop from other dogs, cats, or rabbits. This habit is usually most prevalent in puppies, and certain breeds are prone to it as well. But from a person's point of view, it's disgusting! There are many theories floating around about why dogs eat poop. The simplest theory is that the dog is just hungry. Make sure you dog isn't underweight and that he's getting enough food. Another theory is that they have a vitamin deficiency and the dog is trying to compensate by eating poop. Or perhaps it's a dog who is suffering from malnutrition, starvation, or a parasite infestation. These are possibilities, but in reality, these causes are rare. The first and most important thing to do when facing this problem is to make sure your dog is kept in good health. Otherwise, he could develop illnesses that can result in his eating poop. In addition to that, here are several more tips to help you stop your dog from eating poop. Have your veterinarian check your dog for parasites. Your dog may lack essential bacteria in his digestive system. And parasites are dangerous - they can compromise your dog's immune system and put him at risk for serious illnesses. Give your dog a daily multi-vitamin. This will help ensure that your dog isn't suffering from a vitamin deficiency causing him to eat poop. 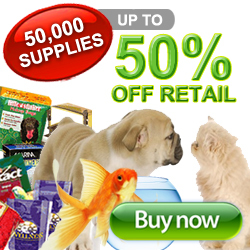 You can purchase in inexpensive, chewable multi-vitamin for your dog here. On a similar topic, I had a mini dachshund years ago who began eating rocks from the driveway. The vet suggested she had a vitamin deficiency and suggested a daily multivitamin. It worked...she stopped eating rocks. Distract your dog when he tries to eat poop. When your dog is done pooping, lead or call him away from the area immediately (or if you see him approaching another animal's poop). As soon as he leaves the area, give him praise. Clean up the poop! Purchase a pooper-scooper and keep it handy so you can clean up the poop after you've called the dog away from the area. Make a point of walking around the yard daily to clean up any poop. You can purchase one here cheap. Clean their teeth! If you're dog has been eating poop then his breath is probably beyond disgusting, and his teeth are filthy. Here's an article from PetMd on The Best Way To Clean a Dog's Teeth. The consistent cleanliness, training and maintenance described above should prevent and stop your dog from eating poop. Please comment below and let me know how you make out! If you've tried all these tips and still need help, I can suggest a good dog training websites that can provide more information. OnlineDogTrainer.com. They are a far more advanced dog training website. I donate 10% of all commissions earned from this website to animal charities. To see a list of charities I donate to, CLICK HERE. If you like this website, please share it with your friends – every purchase helps animals!